N 13° 58' 33" and E 106° 48' 41"
Veun Sai in Ratanakiri is a place in Cambodia about 210 mi (or 338 km) north-east of Phnom Penh, the country's capital city. Current time in Veun Sai is now 06:23 AM (Tuesday). The local timezone is named Asia / Phnom Penh with an UTC offset of 7 hours. We know of 10 airports near Veun Sai, of which two are larger airports. The closest airport in Cambodia is Ratanakiri Airport in a distance of 21 mi (or 33 km), South-East. Besides the airports, there are other travel options available (check left side). There is one Unesco world heritage site nearby. The closest heritage site is Vat Phou and Associated Ancient Settlements within the Champasak Cultural Landscape in Laos at a distance of 90 mi (or 144 km). While being here, you might want to pay a visit to some of the following locations: Ou Chum, Ban Lung, Koun Mom, Siem Pang and Bar Kaev. To further explore this place, just scroll down and browse the available info. Let's start with some photos from the area. 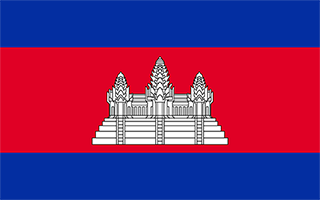 Veun Sai District is a district located in Ratanakiri Province, in north-east Cambodia. The town of Veun Sai is located in the district. It is approximately 38 km north by road of Banlung and is located on the Tonlé San River. The headquarters of Virachey National Park are located in the village. The village is populated by Khmers and many ethnic minorities including Kreung, Lao, and Chinese. Across the Tonle San river are a small Lao village and a small Chinese village. Located at 14.1472, 106.817 (Lat. / Lng. ), about 12 miles away. These are some bigger and more relevant cities in the wider vivinity of Veun Sai.